DataVox has been awarded as a Choice Partners vendor for our portfolio of technology hardware, software and services. Since 1988, thousands of businesses have counted on DataVox to be their sole technology partner to design, implement and maintain all aspects of their technology needs. 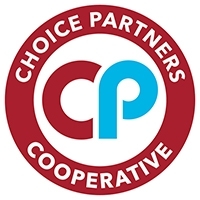 This contract will allow school districts, cities, counties and other governmental entities in Texas to participate in the Choice Partners purchasing cooperative which offers quality, legal procurement and contract solutions to meet governmental purchasing requirements.